A continuous 50km long-section and 100m interval cross-sections capturing the Mary River’s channel. Data collected was combined into the State Government Flood Study of the entire Mary River system. Two separate vessels were used for this survey due to the different conditions encountered between the upper and lower reaches. Ongoing Surveys of multiple canals and waterways for dredging operations to maintain boating access to canal residents. Periodical surveys (six monthly) for three years of the marine foreshore (200m) and coral shelf around Green, Mud and St Helena Islands. Surveys were utilised to measure and determine coral growth after the stopping of mining. Hydrographic survey of canals and revetment walls to determine extent of slippage and undermining of canal beaches. Hydrographic surveys to determine and control dredging limits, rehabilitation of seabed, and location of constructed pipeline. Surveys also used for calculation of volumes for payment of excavation. Pipeline included three crossings between Russell, Karragarra and Macleay Islands. Hydrographic survey utilising an airboat vessel, over a 75Ha swamp, with water levels to a depth of 6m, covered in thick grass mat and vegetation. Hydrographic Survey undertaken for second largest local authority in Queensland involving 20km of large river system surveys for flood modelling. 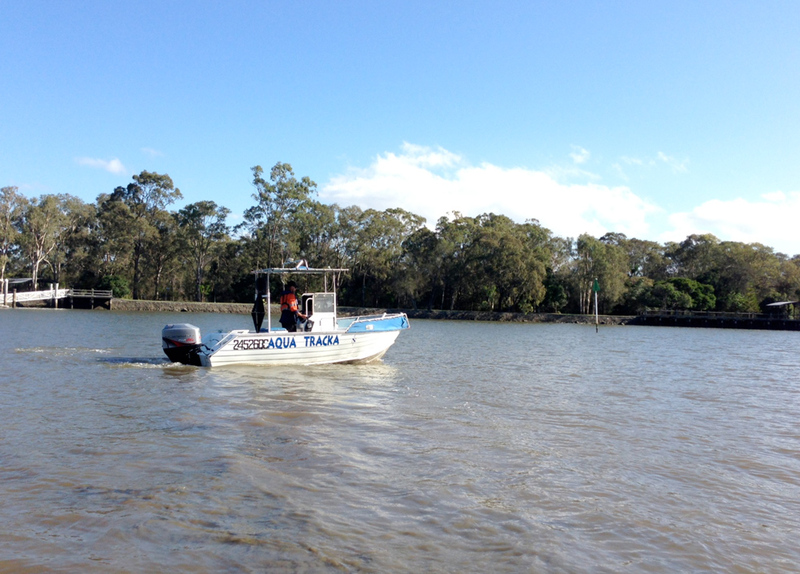 Multiple hydrographic surveys undertaken on Brisbane River for design and upgrade of ferry terminals. Hydrographic Survey of spillway plunge pools and downstream water course for SEQ Water Authority. Hydrographic Survey of spillway pools and downstream water courses for Sunwater.